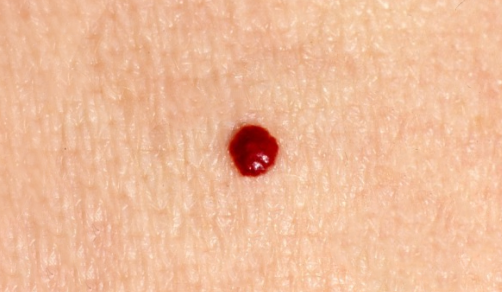 While there a many clinics who can safely remove these cherry red spots on the skin, it can be done at home quite easily. before trying this at home. this information. Always seek the advice of your physician or other qualified healthcare provider before attempting home remedies. Talk with your healthcare provider about any questions you may have regarding a medical condition. Nothing contained on this blog is intended to be used for medical diagnosis or treatment.